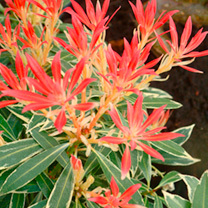 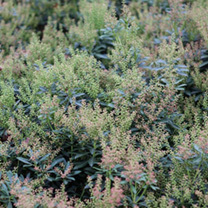 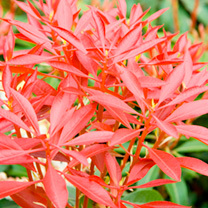 Add some year round interest to your garden with a Pieris Plant. 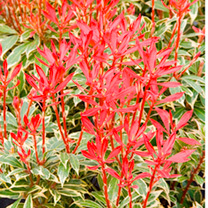 Commonly known as Lily-of-the-valley Shrubs, the fiery red new growth in spring, and bell-shaped flowers that emerge in summer make these a wonderful addition to any space. 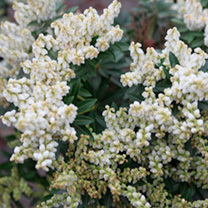 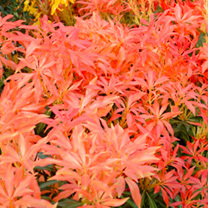 Best grown in slightly acidic soil in a sunny position, Pieris are perfect in a border or a pot on the patio.